First-time poster, not sure if right forum. I've been trying to get into modding. I've installed the JDK, updated my system environment variables accordingly & installed Eclipse, but when trying to use use the cmd.exe command 'gradlew setupDecompWorkspace' in my forge folder, [Using Forge MDK 1.10.2 12.18.3.2185], I'm getting errors. I've assigned 3G RAM to gradle & tried a few online fixes. Could not dispatch a message to the daemon. An attempt to start the daemon took 3.086 secs. Settings evaluated using settings file 'C:\master\settings.gradle'. The message received from the daemon indicates that the daemon has disappeared. to acquire exclusive lock on daemon addresses registry. g lock on daemon addresses registry. daemon is running. Sleeping until state changes. to start relaying all logs to the client via the connection. daemon stop has been requested. Sleeping until state changes. aemon has started executing the build. Hey man, hopefully you have gotten this fixed by now, but instead of running "setupDecompWorkspace" try "setupDevWorkspace"
it seems to have worked for me at first glance. No idea if this will mess me up in the long run with modding. /shrug if it doesn't work for me ill quit trying to mod lol. I got this idea from reading the README that comes with Forge. 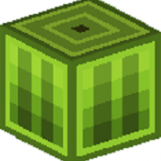 "setupDevWorkspace": Will patch, deobfusicated, and gather required assets to run minecraft, but will not generated human readable source code. "setupCIWorkspace": Same as Dev but will not download any assets. This is useful in build servers as it is the fastest because it does the least work. When using Decomp workspace, the Minecraft source code is NOT added to your workspace in a editable way. Minecraft is treated like a normal Library. Sources are there for documentation and research purposes and usually can be accessed under the 'referenced libraries' section of your IDE. No. Vanilla source code is important. Don't try to not include it. Lots of helpful info there.